​Dr. Mark A. D’Agostino has been in practice since 1994 and with Southern New England Ear, Nose and Throat Group since 1997. Dr. D’Agostino is originally from North Haven, Ct. He obtained his M.D. degree in 1989 from The Chicago Medical School and completed his internship and residency at the McGaw Medical Center, Northwestern University Chicago, Ill. in1994. He then went on to practice as an active duty physician with the United States Air Force at Malcolm Grow Medical Center at Andrews A.F.B. in Maryland. While at Malcolm Grow, Dr. D’Agostino served as a consultant to the Pentagon, the Military Bands and Lajes A.F.B. Terciera, Azores. He started a voice clinic and a snoring and sleep apnea clinic for the active duty and retired military personnel of the Washington D.C. area. He received a Commendation Medal and in 1997 left the Air Force as a Major. He has been with Southern New England Ear, Nose and Throat Group ever since. Dr. D’Agostino is board certified from the American Board of Otolaryngology since 1995 and from the American Board of Sleep Medicine since 2010. He is a Fellow of The American Academy of Otolaryngology/Head and Neck Surgery and the American College of Surgeons. 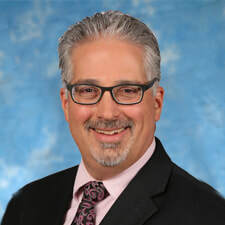 He is a founding member of the International Society of Sleep Surgeons, and a member of the American Academy of Sleep Medicine, New Haven County Medical Society, Connecticut State Medical Society, and the Connecticut ENT Society. Dr. D’Agostino is on staff at five hospitals ( Middlesex, Midstate, Milford, Griffin and Yale) and is the Section Chief at Middlesex Hospital. Dr. D’Agostino’s practice involves the full spectrum of Otolaryngology/Head and Neck Medicine and Surgery and Sleep Medicine and Surgery including head and neck masses/tumors, thyroid and salivary gland diseases/masses, ears, allergy, sinus disease and surgery, in office procedures (including balloon sinuplasties), and the full spectrum of sleep disorders with a special interest and expertise in obstructive sleep apnea. Dr. D’Agostino offers home sleep testing, CPAP therapy, oral appliances and the most advanced surgical procedures available for sleep apnea. He was one of the pioneers of Robotic surgery for sleep apnea and has one of the largest case volumes in the world. He is the only surgeon in New England and one of only a few surgeons nationally to offer upper airway stimulation therapy (Inspire therapy) for sleep apnea. This new technology involves an implantable pacemaker for sleep apnea. Dr. D’Agostino is an Assistant Professor of Surgery at the Uniformed Services University of the Health Sciences/ F. E. Hebert School of Medicine Bethesda, Maryland, and Clinical Instructor Yale University School of Medicine. He is a past member of the Sleep Disorders Committee of the American Academy of Otolaryngology/Head and Neck Surgery, and a reviewer for Otolaryngology/Head and Neck Surgery since 2005. D’Agostino M., Editor, Otolaryngology Clinics of North America, Sleep Apnea. W.B. Saunders. In print, Spring 2016. D’Agostino M., Robotic Surgery for Obstructive Sleep Apnea, Operative Techniques in Otolaryngology. W.B. Saunders, In print 2016. Published online August 4, 2015. D’Agostino M., Robotic Setup. Vincini C., ed. Robotic Surgery for Obstructive Sleep Apnea. In print. Hoff P., D’Agostino M., Thaler E., Transoral Robotic Surgery for Benign Diseases Including Obstructive Sleep Apnea: Safety and Feasibility. Laryngoscope 2015 May; 125(5): 1249-53. D’Agostino M., Folk D., Transoral Robotic Surgery vs Transoral Partial Midline Glossectomy for Obstructive Sleep Apnea Syndrome. Presented at the American Academy of Otolaryngology/ Head and Neck Surgery Annual Meeting, Dallas, Texas. Sept 2015. Submitted for publication. Sleep Module for Academy U, American Academy of Otolaryngology/Head and Neck Surgery on-line training course, 2009. D’Agostino, M. Pharmacy and Therapeutics. K.J. Lee ed. Essential Otolaryngology, 7th edition, Appleton & Lange, Norwalk, Connecticut, 1999. Yanagisawa, E. and D’Agostino, M.. The Larynx. K.J. Lee ed. Hanson D., D’Agostino M., Jiang J., Herzon G.: Clinical Measurement of Mucosal Wave Velocity Using Simultaneous Photoglottography and Laryngostroboscopy. Ann Otol Rhino Laryngo, 104(5): 340-349, May 1995. D’Agostino M., Jiang J., Hanson D.: Endoscopic Photography: Solving the Difficulties of Practical Application. Laryngoscope, 104: 1045-1047, August 1994.